Do you ever have days where you are tired and even the simplest of task is hard? Or your snapping at your spouse or children all day? Yeah me neither ?. Getting to eat a healthy breakfast is extraordinarily hard. Having to get everyone ready and out the door on time leaves me grabbing toaster waffles or granola bars. But once the kids are dropped off at school I am looking to find my next hit of sugar. 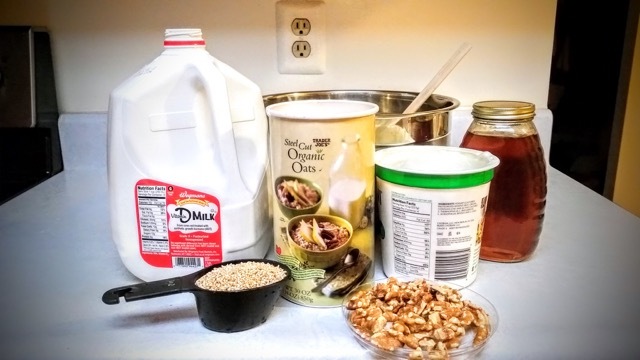 Mix yogurt, milk, oatmeal and honey together in a large bowl. 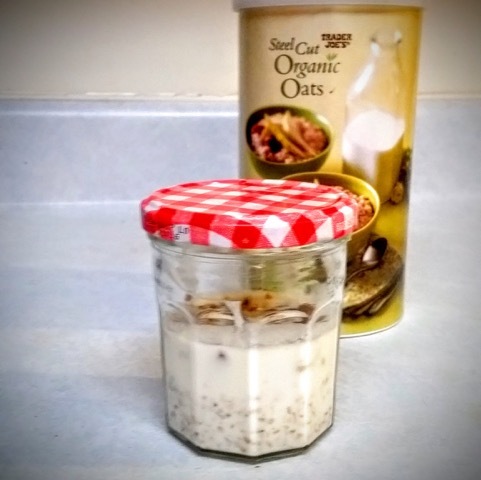 Divide into 4 small air tight containers (I use old jelly jars) sprinkle walnuts on top, cover and place in refrigerator overnight. It’s that easy. In the morning just grab a spoon and you are all set. You can change the recipe up by using fruit or other nuts. 4 reasons why I suggest using Whole fat dairy products? 1) It tastes better and fills you longer so you eat less. 2) Less sugar. Whenever fat is stripped away sugar is added so it will taste better. Definitely going to try this!! 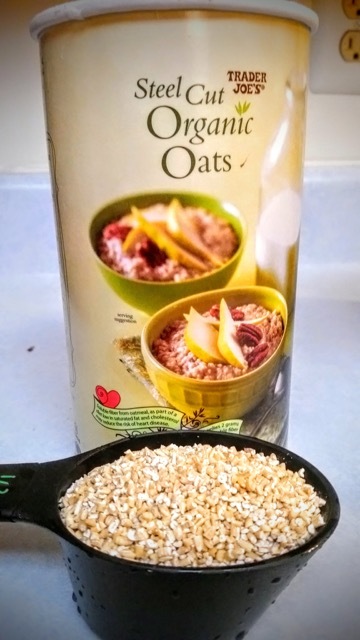 I love steel cut oats!